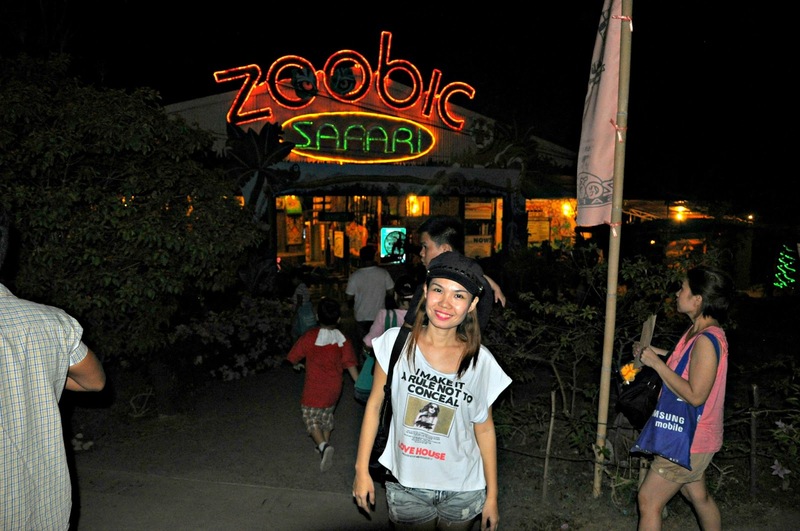 After our ultimate fun at Tree Top Adventure, we wanted to experience a wild night adventure in Zoobic Night Safari!, so we headed next to the one and only Tiger Safari in the Philippines, the Zoobic Safari. 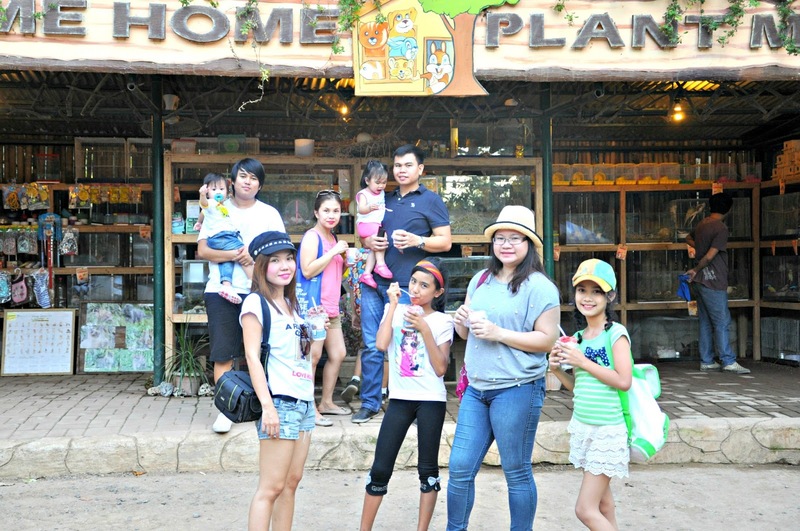 It is also one of the Subic Bay's nature theme parks that offer visitors a different kind of adventure. 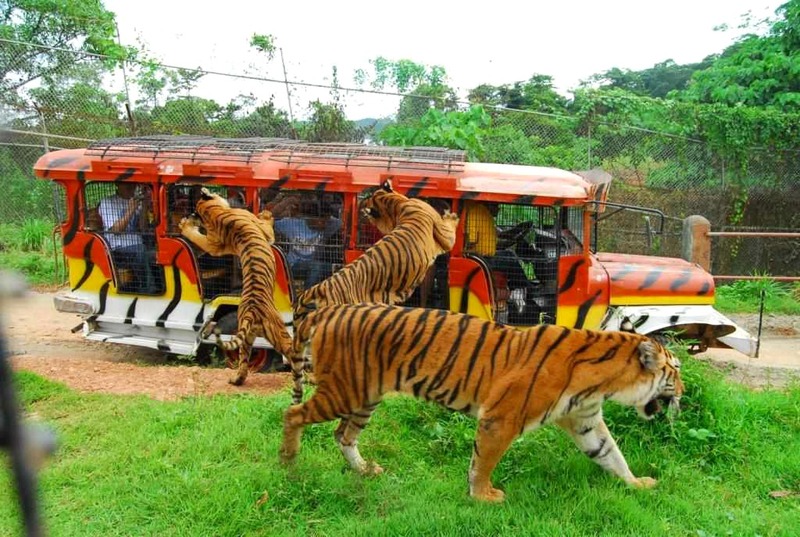 The theme park main feature is its Tiger Safari where Tigers freely roam an enclosed area and gave you a close encounter experience with the tigers and its babies. Here is the entrance area where you can buy foods, plants and pets. 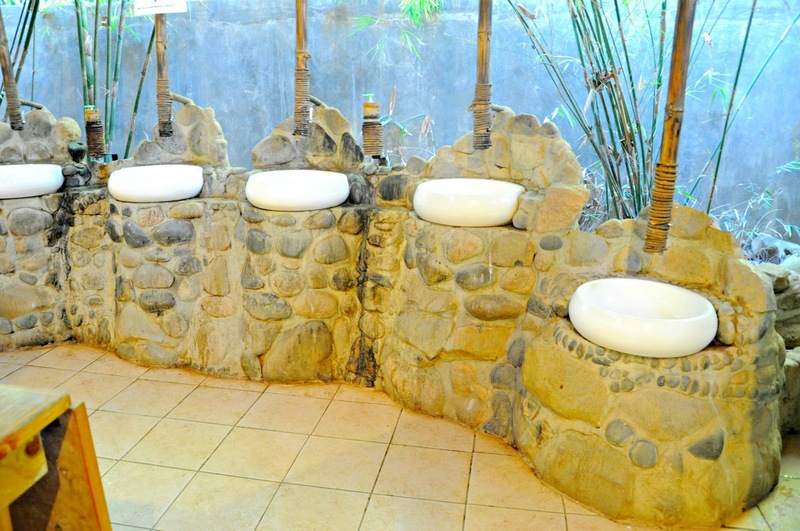 Bathroom and toilets were clean, unique and zoo-themed which was really fascinating. 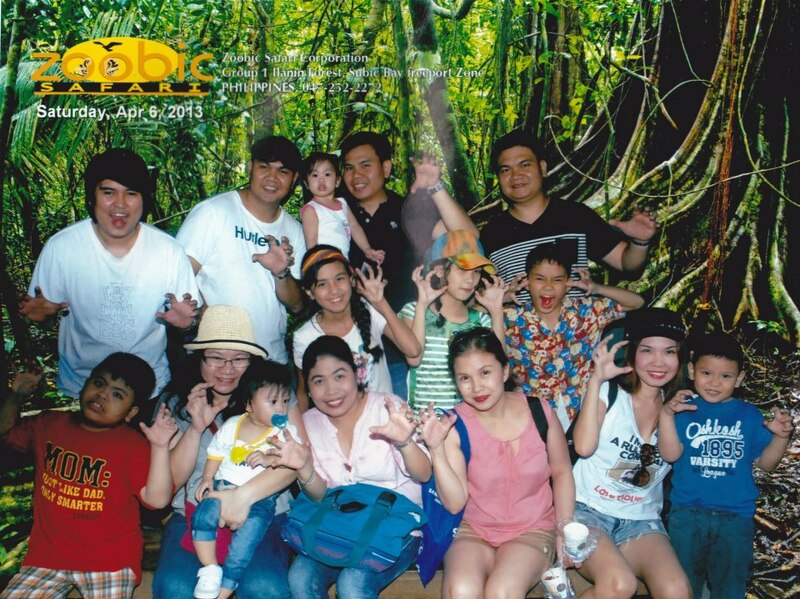 First part of our park tour is through the Zoobic Park where we are introduced to different farm animals likes rodents, birds, and other animals that are endemic to the Philippines. 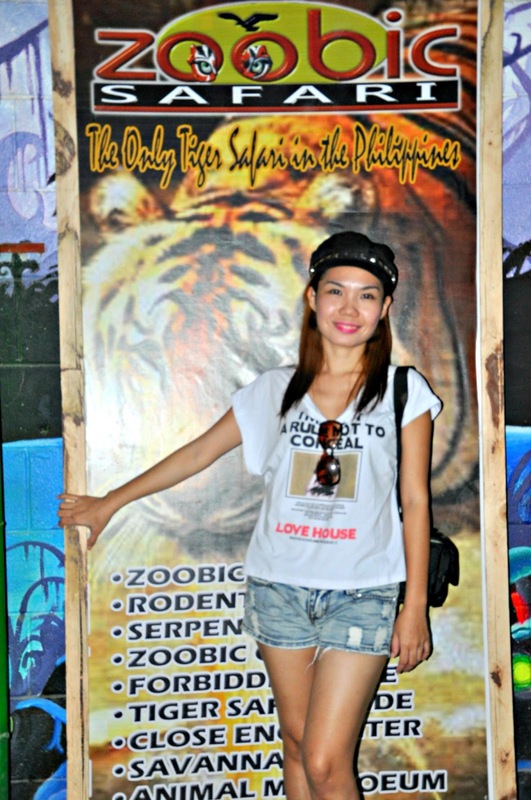 After the tour to the Zoobic Park, we led to the park’s Serpentarium which is located in an old bunker. Inside, different snake species are found including pythons which are commonly found in the country and other lizards. 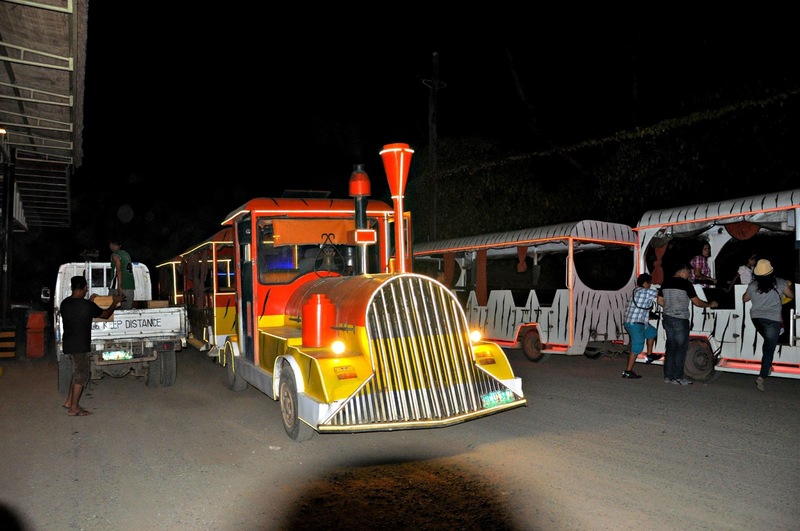 Our tram train that leads us to other parts of the park. 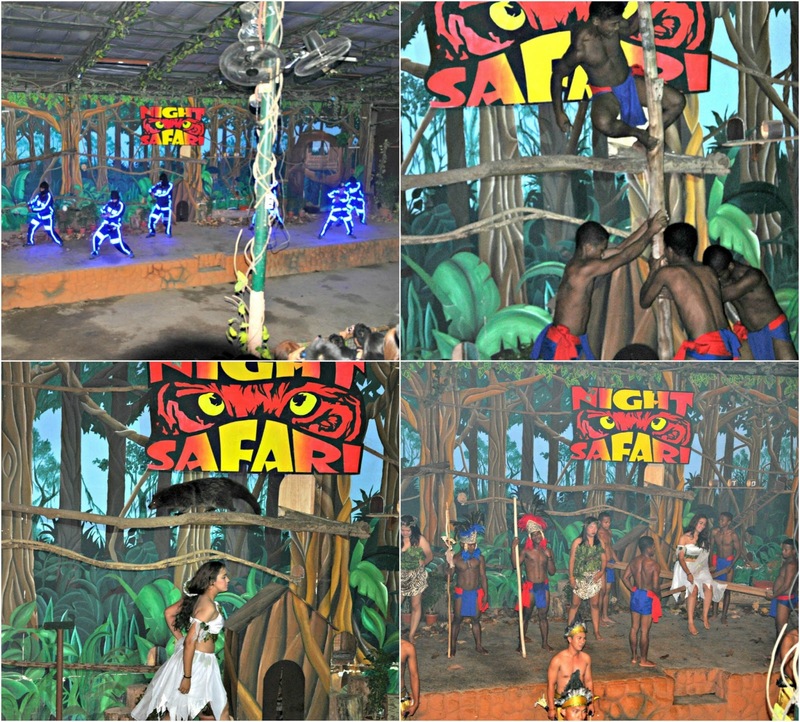 The day tour would enable the visitor to see the animals clearer and to take better pictures but he perks of the night tour were the Night Safari Show, and that's what we wanted. 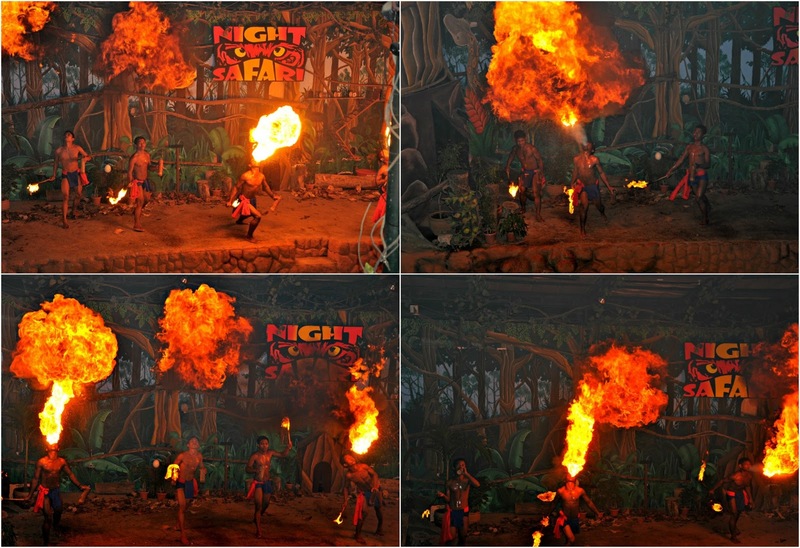 The first one was the glow in the dark dancers, animal show with parade of animals then the fire poi dance while the next one was a tribal fire breathing dance. They were both highly entertaining. Quickly after that, the tram train brought us to the Tiger Safari - the most exciting part! The tiger that we encountered, was already full from a day of eating chicken meat. The feeder took some moments teasing the tiger before the bloated tiger stood up and took a bite of those raw chicken meat. The last stop of our tram train is at the Animal Muzoolum which is a small museum of different fossils and is also housed within an old bunker. From here, we continued the tour by walking to the Aeta’s Trail and we are guided by greyhound dog where we are invited to watch a short show performed by the Aetas. They perform different traditional dances like their dance for war and the monkey dance. 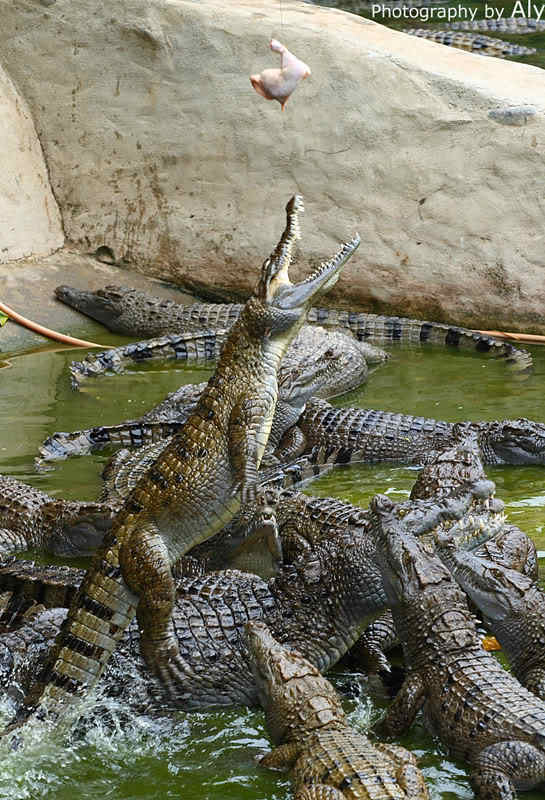 At the end of the trail, we enter the Croco Loco area which is dedicated to the park’s crocodiles. We walked through a metal path on top of a large den of crocodiles. If you want to experience a thrilling and rewarding close encounter with nature's best to offer, then visit Zoobic Safari. It will give you the opportunity to experience first hand having tigers surrounding and jumping on the vehicle you're in. 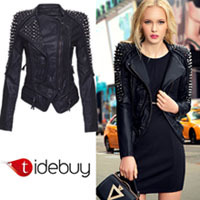 Wow that looks amazing. It sounds like you had a wonderful time and everything looks incredible. This looks so much fun! Hahah that picture of the tiger...I would be afraid to do that because I would think the tiger would take my hand off! Oh really cute pics sweetie! Looks like you have a lot of fun! Oh I'd love to go there just to see the tigers!